Philips to stop selling TVs? Philips may be thinking of off-loading its TV business. Stiff competition - especially in the US - is forcing the Dutch company to focus on more profitable areas, and hasn't ruled out a sell-off in future. Chief executive Gerard Kleisterlee says that Philips is looking at all "feasible options", and that it may make strategic product withdrawals in territories where it isn't doesn't see much profit, according to Reuters. One example Kleisterlee gives concerns Philips domestic appliances - it doesn't sell kettles and toasters in the US because it can't make the margins it wants. By the same token Philips' executive called the US TV market "brutally competitive." Given that Philips Consumer Electronics accounts has the lowest profit margins in Philips as whole, and that TV sales make up half of its CE business, some kind of rationalisation looks likely. Kleisterlee told the audience at its Amsterdam press conference yesterday that problems in its TV business were ones of perception and that Philips needs "to do something about it." This site believes that something is certainly amiss in Philips' TV division. 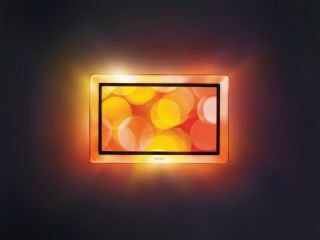 Announcements at IFA 2007 and CES 2008 have shown the company to be more concerned with style that substance - just look at the Aurea LCD TV and Philips' new Design Collection. That suggests that Philips is either running out of ideas, or that its TV technology has now reached a point where it's proving hard to truly innovate. We have asked Philips to comment on the substance of this story.